Southeast Asian boutique river cruise specialist and Traveller Made Hotel Partner, Heritage Line, has announced plans to add two new vessels to its fleet in 2019 as it celebrates 10 years of operation. The first vessel is the 10-suite Ylang which will ply the unspoiled waters of Lan Ha Bay, Vietnam. Sales aboard Ylang have opened this week. It will join sister ship, Ginger, in the region. Commencing with its maiden voyage on 17 August 2019, Ylang will offer a unique three-day Senses of Lan Ha cruise, exploring the lesser visited region of Halong Bay. Itineraries will operate every third day on a dedicated journey, making Heritage Line the sole operator of this program style. Ylang starts her cruises from a pier on the small island Cat Hai which is very close to Hai Phong (approximately 1.5 hours drive from Hanoi). Before embarkation, guests can relax in Heritage Line’s welcome lounge very close to the pier. As the latest member of Heritage Line’s extraordinary ship collection in Lan Ha Bay, Ylang features a splendid blend of Asian-Vietnamese design with Indochinese accents. This ancient flair of Indochina emanates throughout the entire vessel showcasing a delicate floral design theme. Local artisans contributed to Ylang’s decoration with hand-crafted paintings and artwork using various materials and techniques. All ten suites are dedicated to a particular blossom which typically represents a season in Vietnam. Among them are four high-end Regent Suites with floor space up to 54 square metres. All Regent Suites are individually designed and the front options, as the premium version, have Jacuzzis on their balconies. Heritage Line has also this week revealed it will introduce a boutique overnight vessel to Laos at the end of 2019/early 2020. Anouvong will also feature just 10 staterooms and suites, spread across dual decks, and each fitted with private balconies. The five-star vessel will also offer a spa, coffee lounge, dining room and a terrace deck. Anouvong will sail between the Golden Triangle, Huay Xai, on the Thai-Laos border and Luang Prabang (and vice versa) on a four-day voyage, as well as covering longer journeys between Huay Xai and Vientiane, where guests will experience the unspoilt beauty of the Laotian countryside to the fullest. 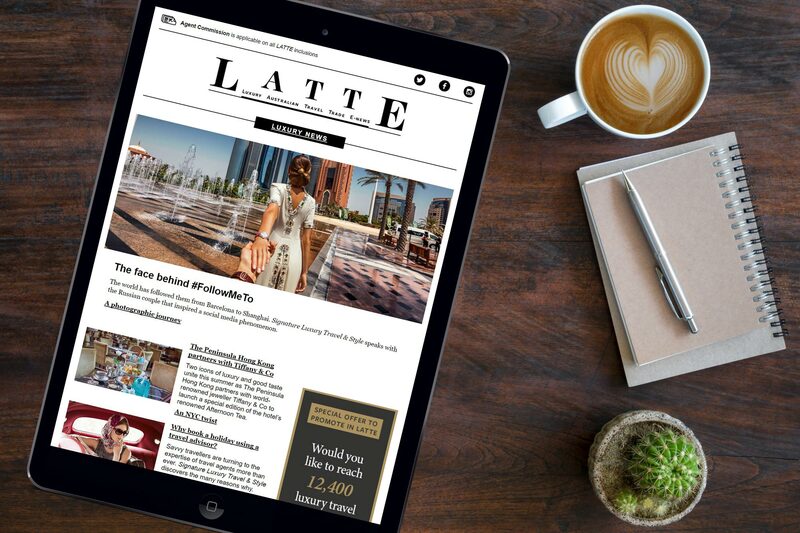 The Australia and New Zealand region is one of Heritage Line’s top five sales markets, Director of Sales & Marketing, Andreas Schroetter told LATTE this week from Vietnam.